A Berliner Weisse has been on my list of beers to brew for some time now, so with stocks of ‘normal’ beer up to an acceptable level again it’s time to experiment a little! There’s actually a reasonable amount of information available on the internet, perhaps a little too much in fact. Settling on an approach took a while. Sour mashes, pitching lacto, to boil or not… plenty to research and think about ahead of the brewday. 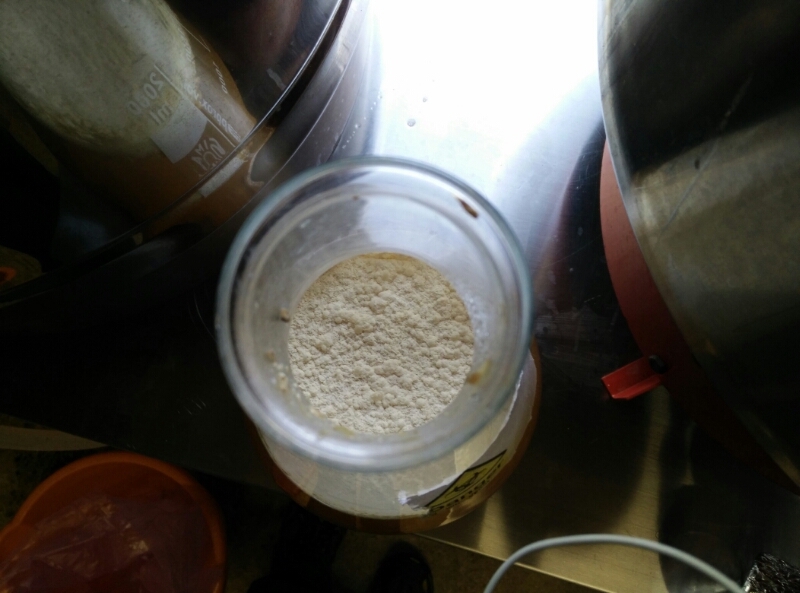 In the end I decided to attempt to capture some lactobacillus from grain myself and grow this up to a pitchable amount. The plan was to pitch this initially and let it go for a couple of days, then introduce a yeast after that. This will hopefully give some lactic sourness without any danger of weird flavors from a sour mash. 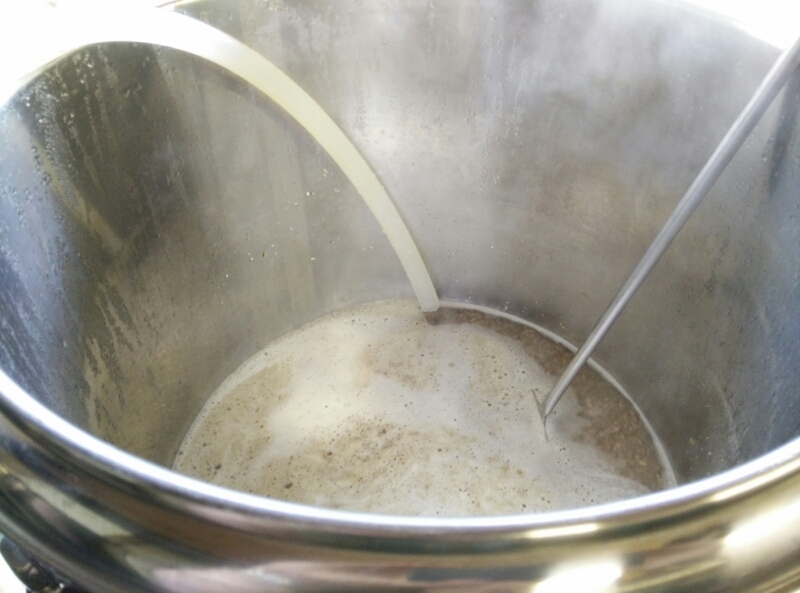 I decided on a fairly simple grain bill, 60% wheat malt, 30% pilsner, 10% acidulated and went for a slightly higher than normal mash temperature (looking to retain some body in the finished beer). I was torn between the no-boil and short boil methods, but ended up going for 15 minutes in the boiler in the end. I figured that with the lacto starter I can afford to boil and kill anything else untoward. 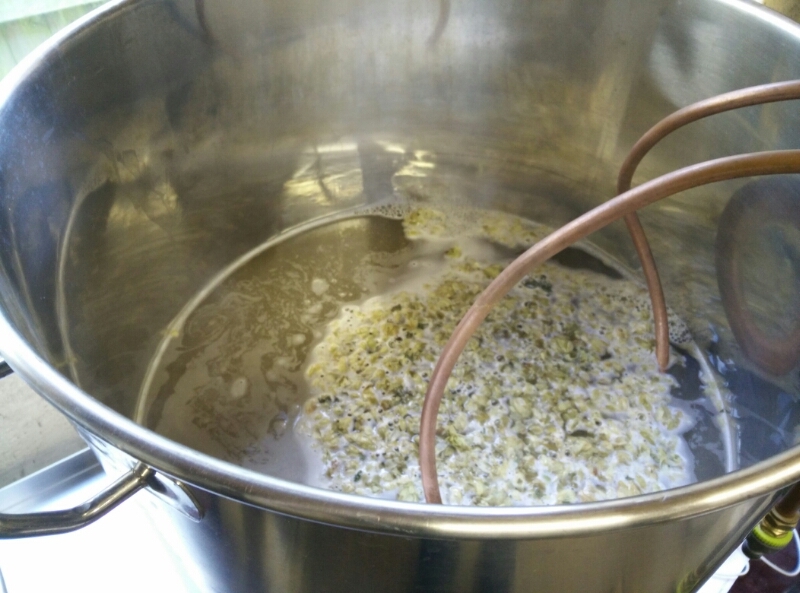 Hops went in the boil; Saaz for a total of about 4 IBU. Seemed a little strange putting the chiller coil in the boiler as I filled it! A 15 minute boil later and cooled to around 37c and it’s ready for the fermenter. With the lacto pitched, hopefully it’ll be ready for the yeast in a couple of days. 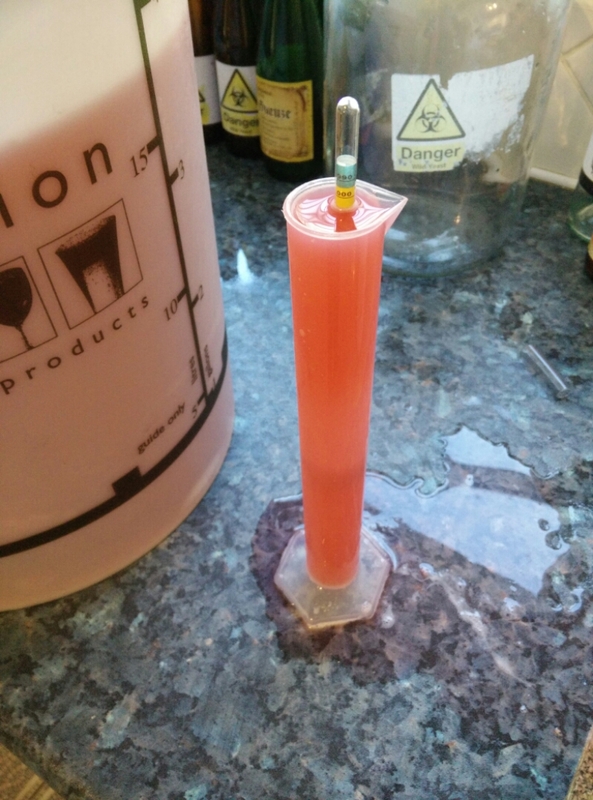 After 3 days I wasn’t sure if it was sour enough, so I split 5L off and left that in the airing cupboard with the intention of blending back in later if needed. 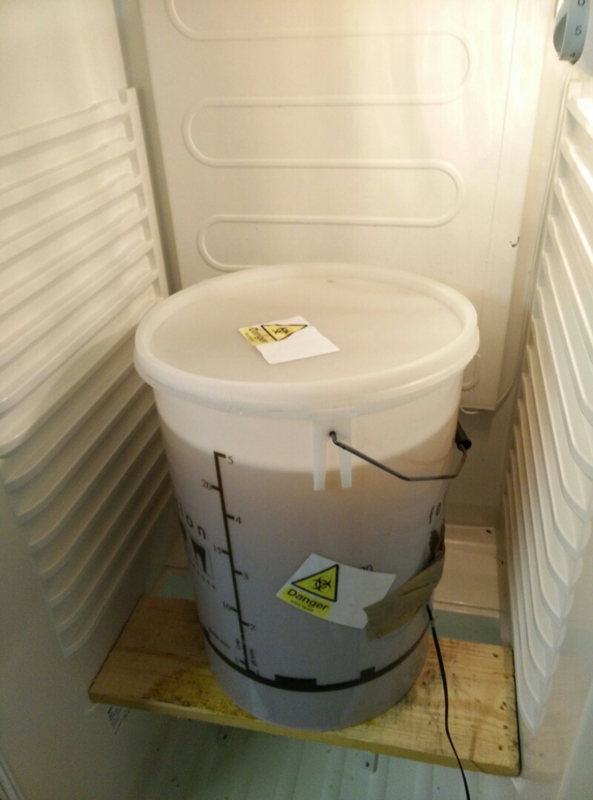 The rest, I pitched a small starter of ale yeast and set in the fridge at 19c. 4 days and it’s done fermenting. 2.4 kilos of raspberries (mashed up) went in for 48hrs and it’s smelling great. It’s probably sour enough, so I’ll keep hold of the other batch for another day. A few days crash chilling now and it’ll be ready for the keg. Previous Post Rye oh why?